For now, everything stays the same for Borgata’s New Jersey online gambling presence after partner GVC Holdings received regulatory approval. For now, everything stays the same for Borgata’s New Jersey online gambling presence. Earlier this month, GVC Holdings was approved to continue operating as a gaming licensee by the New Jersey Department of Gaming Enforcement. GVC had bought Borgata’s online gambling partner, bwin.party, earlier this year. Now that GVC has its full license, it can continue to offer online gaming via Borgata, without a cloud over the relationship of the two parties. There were reports earlier this year that GVC might have a difficult time gaining a license after the DGE announced it would take a company’s operations outside the U.S. into consideration when determining whether or not to grant a license. GVC is based in the Isle of Man — the home of PokerStars — and has licenses in 14 countries, meaning it has already undergone scrutiny from some regulators. Although some thought GVC would not be suitable under NJ regulations, the company announced via a press release the granting of its license. In the release, GVC CEO Kenneth Alexander said he was “delighted the DGE has confirmed that GVC meets its stringent regulatory requirements and that bwin.party can continue to operate in New Jersey under its current licenses.” That includes online poker site PartyPoker. In an effort to hedge its bets on GVC’s licensing, Borgata started talks with turnkey internet gaming solutions provider Game Account Network. Now that its online partner is licensed, Borgata will build upon the more than $115 million it has amassed in online gaming revenues since the Internet industry was allowed in 2013. 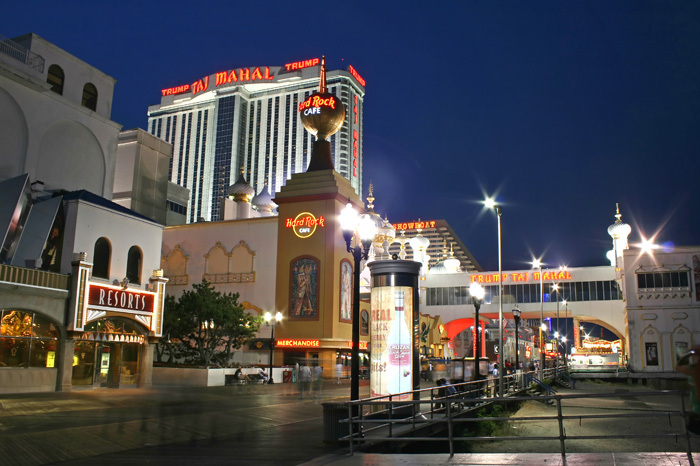 However, Borgata is also undergoing a bit of a shakeup, as MGM Resorts bought out Boyd Gaming’s 50 percent share of the Atlantic City property. 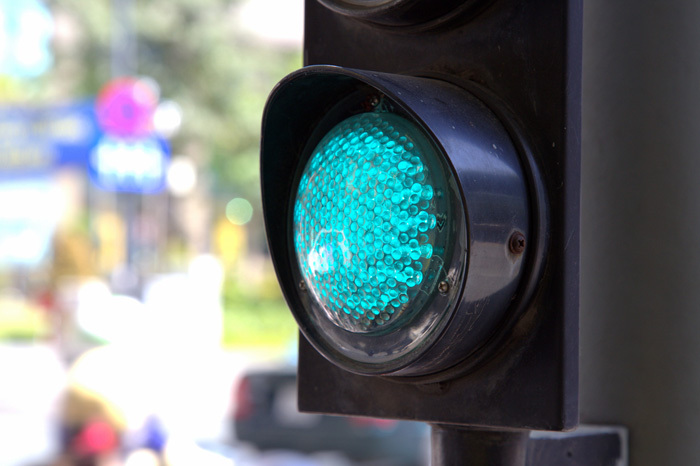 What changes that might mean for online gambling is not yet known. In 2007, current CEO Kenneth Alexander took over, a move which helped “reinvigorate” the organization. Two years later, GVC acquired Betboo, an entity which focused its efforts on Brazil. In 2012, it launched talks with William Hill to acquire online sports betting and oddsmaker Sportingbet. That GVC was able to acquire bwin.party was a bit of a coup, as bwin.party had already agreed to a “cash and share offer” of more than one million dollars from 888 Holdings. Online gambling sites in New Jersey would have to promote a land-based casino prominently, under legislation that recently passed a committee vote. New Jersey State Assemblyman Ralph Caputo thinks he scored a victory on behalf of land-based casinos in the state. This past week, the Assembly Tourism, Gaming and Arts Committee approved AB 2811, which would require online gambling sites operating in New Jersey to “prominently advertise the name of its Atlantic City casino on its Internet gaming websites and advertisements”. The New Jersey Division of Gaming and Enforcement requires that all Internet gambling sites operating in the state must form partnerships with existing land-based casinos in order to operate in the state. 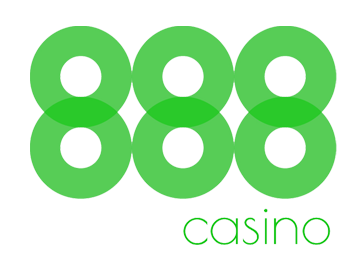 However, those websites are not required to advertise or promote the land-based casinos through which they operate. For websites like PokerStars, 888 and PartyPoker that lack a land-based presence in Atlantic City, partnerships are necessary in order to operate in New Jersey. Currently, there is no requirement that these operators prominently promote their partner on their sites. Many of the existing websites, though, were created by land-based New Jersey casinos and already meet the advertising standards. 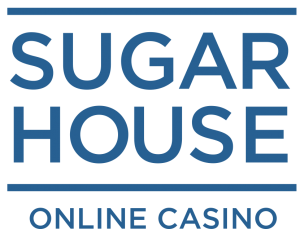 A list of the five casinos and their gaming websites can be viewed on the DGE’s Internet Gaming Sites page. According to a June 2 press release from the Assembly Democrats, the bill will also require Internet gaming sites to be supervised by the DGE to make sure they’re complying with the advertising regulations. In an article from PolitickerNJ.com, Caputo was quoted as saying that internet gambling makes people want to stay home instead of heading out to New Jersey’s premier legendary gaming city. That’s despite the fact that the “cannibalization myth” has largely been debunked, as casinos generally believe online gambling helps the brick-and-mortar casinos. Thus, Caputo asserts that his bill will help the land-based casinos, and by doing so, will also drive traffic back to their gaming websites. Most industry observers agree that in fact this has already happened, and that the regulated gambling sites have indeed helped lure a new and younger demographic to casinos in Atlantic City. Yet the assemblyman’s distaste for internet gambling in his state is nothing new. Caputo has long been an outspoken critic of New Jersey online gambling. In an August 2014 op-ed for the Star-Ledger, Caputo heavily criticized PokerStars for continuing to operate in the United States after the 2006 passage of the UIGEA. Of course, in the intervening period, PokerStars has launched its New Jersey online poker site with great success in conjunction with its land-based partner, Resorts. PokerStars is rumored to be constructing a live poker room at the property. Caputo’s bill must move through the Senate and then receive a signature from Gov. Chris Christie in order to be officially approved. According to the text of the bill, once it’s signed, it takes effect, which means, in theory, changes will take place quickly. And they couldn’t come too soon for Caputo, who is still holding out hope that Atlantic City will bounce back from its recent financial woes. Voters appear to be split on whether to allow two new casinos in northern New Jersey ahead of a referendum in November. Monmouth University’s Polling Institute added more fuel to the already raging debate about the future of New Jersey’s casino industry. The group just released the results of a poll in which voters were deadlocked on how they will cast ballots in a November referendum allowing up to two new casinos in North Jersey. 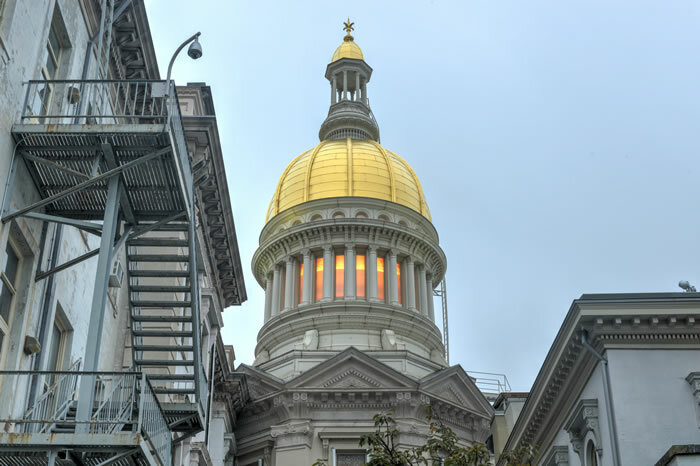 The Institute detailed the results of its poll, in which it called New Jersey voters between May 23 and May 27 to ask them about the casino referendum. They collected data on a straight vote, as well as vote in relation to political party and region. In terms of a straight-up vote untethered to political parties or regions, voters were in a dead heat: 48% of voters said they wouldn’t support the referendum and 48% said they would. Patrick Murray, director of the Institute confirmed that the referendum is a toss-up right now. 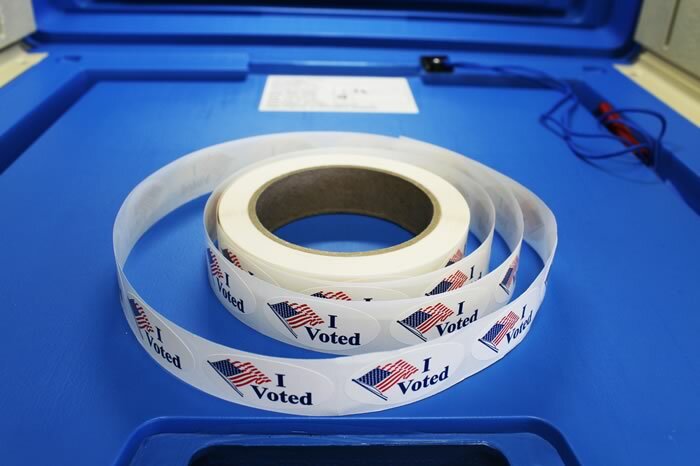 The polling took place during a volatile period in New Jersey’s gambling landscape. Gov. Chris Christie just signed an aid package for Atlantic City that gives the jurisdiction five months to get its finances in order. If it doesn’t, the state may take over the city’s affairs. While the final outcome for AC is not determined, voters are relatively split on what should happen, as well: 51% said the state shouldn’t intrude on the city’s finances, while 42% gave Trenton the green light to intervene. Predictions on the advent of North Jersey casinos range from a boon to Atlantic City to the possibility that three to five casinos could close. The Monmouth report also polled people on whether gambling was good for the state. Fifty-four percent of people who responded said they believe it’s good for the state. While that statistic may be encouraging, the study pointed out that, back in 1999, nearly three out of four New Jersey voters said gambling was beneficial for the state. In addition to sentiment about the November referendum, researchers wanted to know how people felt about gambling’s effects on Atlantic City. The CEO of Resorts said up to five Atlantic City casinos could be forced to close their doors if casinos in North Jersey are approved by voters. Already teetering from debt, up to five casinos in Atlantic City may be in jeopardy this fall, according to one casino executive. In November, New Jersey citizens will cast their vote on a referendum which would allow the opening of up to two casinos in North Jersey. Included in the referendum is a stipulation that up to $200 million of revenue from the new casinos will be sent to Atlantic City for non-casino improvements. Should the referendum pass, it will mark the first time in the state’s history that casinos have been allowed outside of Atlantic City. That drastic shift in the state’s gaming history presents a big problem for Atlantic City’s iconic casinos, Resorts Casino and Hotel CEO Mark Giannantonio said this past week at the East Coast Gaming Congress. The statistics were the result of a study that Resorts commissioned; results of that study will be released later this week, Press of Atlantic City reported. Jeff Gural, CEO of New Meadowlands Racetrack, sparred with Giannantonio during a Gaming Congress session about the report. According to NJBiz.com, Gural called the report “crazy” and “meaningless”. He went on to point out that the revenue sharing aspect of the referendum will bring some much needed improvements to Atlantic City. While Giannantonio was rather pessimistic in his forecast, New Jersey Senate President Stephen Sweeney was optimistic. Sweeney said November’s referendum will help, rather than harm, the gambling hot spot. “When we came up with legislation to expanding gaming, it was to ensure Atlantic City would benefit and have the funding to diversify its economy,” he said. Sweeney’s words were no doubt supported by the State Assembly’s approval of a package of bills that would give time for Atlantic City to formulate a plan to combat its $550 million debt. Just four days later, the Senate also passed the bills, and Gov. Chris Christie signed the aid package on Friday. That end months of contentious negotiations over AC in the state. Rep. Frank Pallone from New Jersey made his voice heard recently at Congressional hearings about daily fantasy sports. 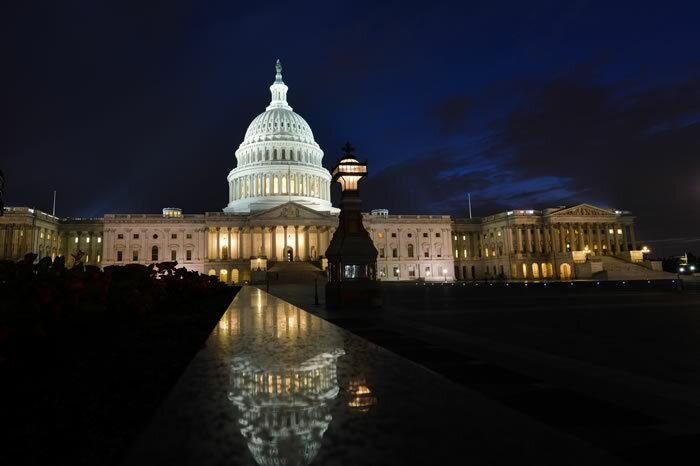 Pallone participated in a U.S. House Subcommittee on Commerce, Manufacturing and Trade hearing titled, “Daily Fantasy Sports: Issues and Perspectives.” The hearing was the first of its kind at the federal level. According to several reports, including an article by USA Today reporter A.J. Perez, Pallone was not shy about his support of sports gambling in New Jersey and elsewhere. This isn’t Pallone’s first time leading the charge against laws prohibiting sports betting. This past September, he penned a five-page letter to the House Energy and Commerce Committee (of which he the ranking member) requesting a hearing to “review the legal status of fantasy sports”. In the letter, he asked why fantasy sports, which he believes is a form of gambling, is treated differently than sports betting in the U.S.
Pallone noted that fantasy sports are allowed federally under a clause in the Unlawful Internet Gambling Enforcement Act of 2006. That clause says that fantasy sports are exempt from online gambling prohibitions as long as they meet the criteria in UIGEA and abide by state laws. He went on to argue that at one time or another the MLB, NFL and NBA condoned league players participating in fantasy sports. Up until this past fall — when daily fantasy sports came under legal challenges in New York and elsewhere — the DFS industry was able to thrive and grow, largely without pushback. Then came a number of state attorneys general who opined that DFS is illegal gambling in the months before the Congressional hearing was convened. The DFS hearing: Much ado about nothing? One lawyer in attendance was quoted as saying the meeting was, at worst, “a colossal waste of time” and that Pallone may have mustered enough momentum to get another hearing. According to USA Today, representatives from the major North American pro sports leagues were invited to the hearing, yet nobody from those leagues appeared. Each league, except for the NFL, owns equity in DraftKings or FanDuel, while most teams in all those leagues have sponsorship deals with the DFS sites. Though nobody from DraftKings or FanDuel attended the meeting, Peter Schoenke, chairman of the Fantasy Sports Trade Association, was quoted as saying that laws against sports betting don’t apply to DFS sites because they offer games of skill, not chance.